SHOUT OUTS to Kelly for almost finishing Module 1! Finish GS unit if you haven't. Get going on Module 1 if that's where you are. Some are on Module 2 and keep going. 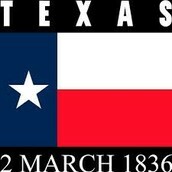 1830 On April 6, the Mexican government forbids further American emigration to Texas. 1834 Stephen Austin as a representative of the Convention of 1833 was arrested without specific charges. 1836 On March 1, the Convention of 1836 begins meeting to sign a new constitution and form a new government. 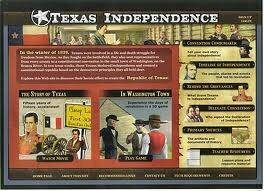 On March 2, the Texas Declaration of Independence is adopted. On March 6, the Battle of the Alamo is lost by Texas and becomes a rallying cry for the continued struggle for indepencence. On March 27, the Goliad Massacre takes place in which Mexican General Santa Anna orders the execution of 400 surrendered Texans. 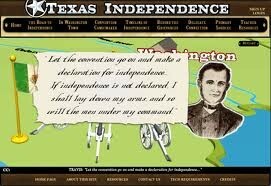 This also becomes a rallying cry for Texas independence. On April 21, Texans under Sam Houston soundly defeat General Santa Anna at the Battle of San Jacinto. This victory secured Texas' Independence.